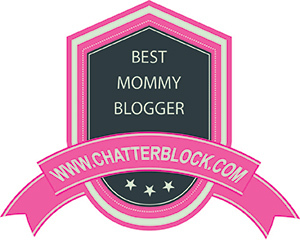 You are here: Home / Most Recent / Eighty MPH Mom News! It has been quite awhile since I have personally posted, but I wanted to give you an update on all that has been happening here on the blog. As you can see, we have a beautiful new makeover, thanks to the ever-talented Greg from Engine 1 Media! I absolutely love his work and he has done us proud once again. Hopefully you will find the new design easier to navigate, and move your way around. We are still doing some work behind the scenes, to make it an even better reading experience for you! We have some new team members! A couple of our previous members had to leave, due to family commitments (and I was very sad to see them leave! ), but we have taken on three new contributors that are doing a fantastic job. We now have a team of SIX! Tiffany started with Eighty MPH Mom March of this year and plunged right in with very little assistance. She learned the ropes so quickly, I was truly amazed. Tiffany just bustles along daily (and with four little ones at home – I have no idea how she does it) – she is just plain awesome. She helped at a time when we really needed it, and I am so thankful she joined us. Sky – my dear Sky. Sky has been with us for over a year (she started August 2013). I have known Sky since I first started blogging back in 2008, and we have been friends ever since. I even had the pleasure of meeting her at BlogHer 10! She also helped to pick up the slack when we needed the help. And our two most recent team members are Mia and Angela! They too, have both learned the ropes so quickly, and I am completely blown away with their work. Thank you both so much – we are happy to have you on board! Of course, there is my girl, Randi. Randi has been with Eighty MPH Mom for over 2 years (since July 2012). Honestly, if it wasn’t for her, the blog probably wouldn’t be alive anymore. She completely ran the blog (and extremely efficiently, I might add) while I was out for a few months following my neck surgery. You may have noticed my absence over the past few months. I had some personal issues to tend to, and unfortunately had to step away for a bit (and on a side note, I lost 23 lbs – yay me!). Once again, she took the reins and I knew my “baby” was in safe hands with her. Randi has the same passion for and pride in Eighty MPH Mom that I do, and that means the world to me. She has been a complete life-saver, and I have no idea what I would do without her. I have since made her co-owner/co-author, and have proudly done so. I love Randi! Yep – my baby girl graduated from high school in June! We are so very proud of her – she is on to some wonderful new things in life, and we can’t wait to see what the future holds for her. She so kindly wrote a post of her experiences in high school and tips for teenagers. If you haven’t read it yet, I hope you will (especially if you have teens!). Because of you, our loyal fans, we reached a huge milestone recently – 10,000 Facebook fans! We wanted to thank you by hosting our Eighty MPH Mom 10,000 Facebook Fans Extravaganza, which is full of giveaways, with prizes from some of our favorite sponsors. There will be 20 winners, so make sure you enter if you haven’t already! Hurry – the party ends on October 1st. Would you like to win a Keurig? Well your odds just got a whole lot better! On September 29th, Eighty MPH Mom will team up with Staples to give away THREE KEURIG OFFICE PRO BREWERS ($249 ARV EACH), in celebration of National Coffee Day. The fun will take place on Twitter, and a brewer will be given away during three different hours. Follow #CoffeeBuzz so you don’t miss this awesome giveaway! The holidays are right around the corner, so make sure you stay tuned for fun crafts, delicious recipes, and of course awesome giveaways! Thanks for reading, and good luck in all of our giveaways! Thanks!! I LOVE working with you and I love our new design!! It is an absolute pleasure being a part of this great team! I am so, SO glad to be a part of this incredible team! We are a family here at Eighty MPH Mom and the lot of us truly do our best to not only make the website enjoyable for all that visit but we really do enjoy sharing all of the fantastic brands, new products, recipes, fun DIY projects, and so much more with our audience.